After giving a small Hollywood dosage in inferno trailer with Tom Hanks, Irrfan Khan is back to Hindi business with 'Madaari'. This time he is more powerful, intense and aggressive to his character. 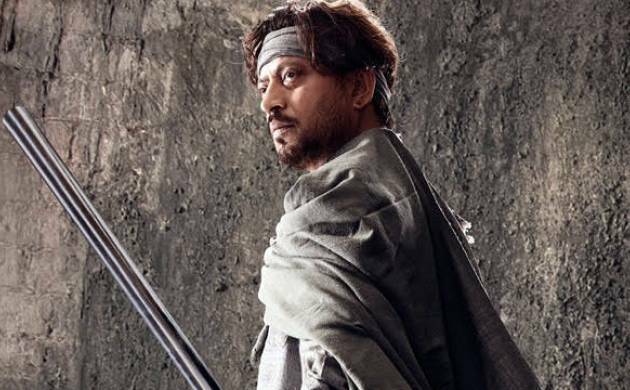 In Madaari, Irrfan Khan plays the character of a man accused of kidnapping Home Minister's son. Jimmy Shergil has been placed in the character of a cop hunting him. Though film seems to be a mix of A Wednesday and Drishyam, there is a lot to watch out in terms of Irrfan's new flavours and twists. Directed by Nishikant Kamat, who is best known for his work in Drishyam, Madaari is film inspired from true event that took place at an under-construction metro bridge on the Andheri-Kurla Road. Madaari has been mostly shot at Delhi, Shimla, Dehradun and Mumbai. The film is a political satire. Earlier, Irrfan Khan and Nishikant Kamat had worked together in 2008 movie 'Mumbai Meri Jaan'. This will be interesting to see how both will perform together as Nishikant's last release 'Rocky Handsome' failed miserably, meanwhile Irrfan Khan has touched Hollywood landmarks. Madaari has been scheduled to release on June 10, the same day when Big B will come with Te3n. Irrfan has made it clear that he is not afraid to the fact of having a face-off with the megastar.